Rafael Rammy Herbosa REALTOR The decision to Buy or Sell a home is yours to make. My job is to get it done for you. Getting to know Rafael Rammy Herbosa. First realized I was made for this industry when I sold our house and encountered difficulty in dealing with different kinds of personalities, capabilities and most important, someone TRUSTWORTHY. I was an Expired and Canceled homeseller. I figured firsthand what was necessary to get the job done. I provide assistance on every facet of the real estate sales and purchasing process. Conducting a real estate transaction is a challenging and litigious process for clients so they depend on me to offer expert advice, act as their advocate during negotiations and help them complete one of the most significant purchase or sale of their lives. What Rafael's Clients are Saying. My wife and I hired Rafael Herbosa to sell our home in the fall of 2017. We wanted a realtor who would give us an honest opinion of what our house might sell for and what improvements might help make it attractive to buyers in our area. We received that and much more by hiring Rafael. I feel Rafael worked hard to price our home properly, not over-pricing to get the business, but the best price to get the most value for us in a timely manner. The knowledge Rafael possesses was invaluable in staging the home and in guiding us through all the paperwork and negotiations required. Rafael also assisted us in searching for and purchasing our new home. He patiently and tirelessly looked for homes both with and without us. We had difficult deadlines and particular needs concerning both price and location. Without Rafael we would not be happily living in our new home today. We were once again rewarded with his strength of negotiating to help us become the winning bidder on our home. 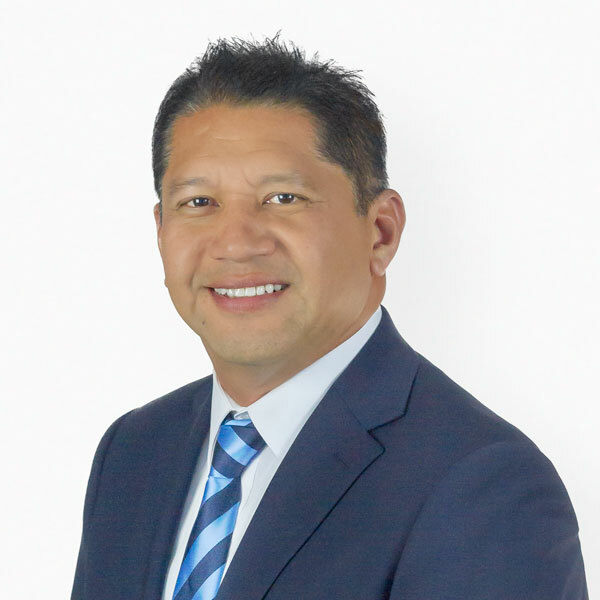 Honesty, Integrity, knowledge and strength of character are possessed by Rafael and enable me to highly recommend him to assist in buying and/or selling a home. Rafael took the stress and complexity of our home buying experience away. As my wife and I went along and dealt with the rigorous grind of our daily lives, Rafael went above and beyond his realm to look, find and process the property that was right for us. With his help, knowledge, patience and trustworthiness, we were able to purchase an ideal home suited to our budget and needs. Rammy was our second Realtor and it was our third attempt in search for our first home. He is heaven sent! He is honest, detailed, and transparent. He showed us all the listings regardless if he was the sellers realtor or not, yep! This gave us a lot of flexibility during the search. We learned so much from him. Always available literally 24/7 and very accommodating. He was patient and has never pushed us to just buy because we’ve been searching for a while. Instead, he always reminds us that it’s going to be our home and we should take time to choose before we decide. He told us, “Remember this is going to be your home, imagine yourself in it!” Promise you’re going to love Rammy as your Realtor! Bruce and I want to give a big shoutout to our friend and realtor, Rafael. I met Rafael about 4 years ago mountain biking. He is compassionate, caring, and a trustworthy friend. When I invite him to join Trail Angel rides he always sweeps and is very patient with each rider. A few months back, Bruce and I decided to move to south county and knew Rafael was a realtor and without any hesitation we knew he was the realtor Bruce and I needed on this journey. We had full trust in Rafael and knew he would guide us to the right purchase transaction. We didn’t make it easy for him with various stipulation, there were a lot of twist and turns that needed to be navigated with care and with perfect timing. With his wise guidance, we successfully purchased our new home. In addition to this transaction, he and Bruce have become good friends. Hmm, I think you can tell by one of the pictures. When you meet Bruce or Rafael, you will walk away thinking, wow, these are two nice guys who have big hearts and care deeply for others. Love our first picture Rafael gave us to hang in our new home. A picture I just love that was taken by Eve Le. Kimberly Stephens also collaborated on this picture. Bruce and I are very grateful for Rafael’s friendship. In buying a house, the key is getting a good Realtor and Rafael is the best person for the job. He is very reliable, trustworthy, and very knowledgeable of the industry. He will help you from start through finish — no pressure. We liked working with him because he did not only help us purchase our dream home while working within our budget, he also taught us lot in the process. He gave us access to his trade tools which made it easier for us in searching for the home we liked. I highly recommend Rafael.